HAPPY THANKSGIVING, EVERYONE. WE HOPE YOU HAD A GREAT WEEKEND. AND WE FIRST WANT TO SAY THANK YOU FOR BEING ONE OF OUR LOYAL READERS. TODAY WE ARE EXPLORING HOW WE CAN SHOW OUR GRATITUDE TO OUR STAFF, OUR CLIENTS, OUR VENDORS AND ANYONE ELSE WHO DESERVES OUR THANKS THIS HOLIDAY SEASON. EVERYONE LIKES MONEY (TIPS, EXTRA BONUSES) SO IF YOU'RE STILL AT A LOSS AFTER READING THIS, A LITTLE CASH IS ALWAYS APPRECIATED. HOWEVER, IF YOU'D LIKE TO GO BEYOND THE MONETARY OFFERING, HERE ARE SOME CREATIVE IDEAS FOR SHOWING YOUR APPRECIATION. THE MOST MEANINGFUL GIFTS ARE THE MOST PERSONAL SO BEGIN WITH KNOWING YOUR AUDIENCE: WHO IS THIS PERSON AND WHAT DO THEY LOVE? BY THE WAY, THIS IS PART ONE OF TWO--THE REST OF OUR GIFT GUIDE WILL COME OUT NEXT WEEK, JUST IN TIME FOR YOUR HOLIDAY SHOPPING. It may seem obvious, but your mother was right about this one. 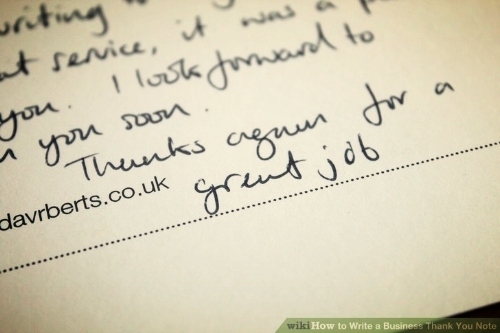 A handwritten thank you note, especially in the age of all things digital, is truly meaningful. The fact that you spent the time to sit down at your desk, with pen in hand and wrote a heartfelt note can mean more to the recipient than you might imagine. It doesn't have to be long or fancy, just a clear declaration of the help, hard work, or extra effort that you noticed and how you feel about it. The sky is the limit here, really. There is so much good food out there in the world. Home in on the specific preferences of the person in question, as much as you can. Gourmet cooks would appreciate great cookbooks, a fancy collection of different salts, or a beautiful salad bowl set or a special tool they might not buy for themselves. People who just love to eat would enjoy a night out at a favorite restaurant on your dime, a cooking class with a favorite chef, or a special, artisanal food item like this bourbon barrel aged maple syrup. (You can even personalize the label!) Yum! Most of us like a good tipple now and then, so for your alcohol-loving giftee, these kinds of boozy presents are most welcome. Most beer fans will probably be into local / microbrewery beers so arranging a local brewery tour and tasting would be fun and you can pre-pay for a growler or mini-keg for them to go home with. If you live in an area where wine is grown, arrange for a chauffeur-driven, catered wine tour or a special tasting room event. If you want something delivered to your recipient directly, many companies have great wine, beer, or cocktail subscription boxes like Noblebrewer, Winc, Tastingroom, and Saloonbox. Mixers like these fun organic syrups from Royal Rose or special tools for the bar geeks are also good bets. Cheers! If the person in question is one of the people best described by the poster above (which is available here) then you've got an easy person to buy for. Great beans are almost everywhere, it seems. Fair trade, shade-grown, wood-roasted, cold-brewed--the ways to enjoy coffee are endless and the tools to make it are just as plentiful. If your gift recipient is the grab-and-go type, they will love the high octane convenience of a Keurig or Nespresso machine (just hope they recycle the pods). More old-fashioned coffee aficionados will appreciate the process of pour-over and drip-brew coffee makers or a stovetop Moka pot (bonus--these are very travel and budget friendly). Special accessories of all kinds are meaningful gifts, as well as mugs and containers galore. Our favorite is this Yeti Rambler thermos that can be personalized with your brand, their initials or their logo. Cocoa. Cacao. Dark. Milk. Bittersweet. So many ways to love chocolate. From a custom, gourmet S'mores kit to a homemade hot chocolate maker, indulge their sweet tooth in lots of creative ways. You will win either way with treats like Super-luxe truffles from Vosges or organic, fair-trade stoneground chocolate from Taza. The chocolate aficionado might also love chocolate liqueur, chocolate infused balsamic vinegar, or one of these delectable treat boxes from Olive & Cocoa. Maybe their clothes are always covered in dog hair, or they bring their dog to work with them every day, or have new photos of their pup on their phone every time you see them. Either way, you know the dog-obsessed person when you see one. For this recipient, nothing less than the best will do...for their pooch. A gift certificate to a local groomer or local pet supply store would give them a clean happy dog or a small fund to buy treats and toys whenever they want. A nice leather leash, a monogrammed dog bed or home-baked dog treats. Our dogs also love Barkbox, a monthly delivery service that brings canine snacks and playthings to the front door (and p.s. the box is also fun to destroy). It can be hard to shop for someone who might eschew some of the traditional holiday items: booze, chocolate (they're vegan) or anything containing sugar. These folks have admirable self-control to go along with their admirable abs. Even if they are a newly minted fitness buff, they would probably love that you noticed their efforts and want to support them in their new resolutions for well-being. One month pre-paid at a yoga studio conveniently located near their home or office, a few personal trainer sessions, or a gift certificate to Whole Foods would probably be well received. A few other gifts we love when we are doing our best to be healthy: S'well water bottles, the FitBit, amazing socks (we love these), a vegetable noodle-maker, and this foam roller for gettin' out the kinks. If you're not sure what your recipient would like, or you want to give someone more leeway to choose their own present, you can still make a "generic" gift personal with special packaging and a kind note to accompany your gift. Amazon and Target, local grocery stores or department stores all offer gift cards and those would probably be appreciated by most anyone. However, if you want to get a little more creative but still give a wide selection, consider a gift card to a crafty site like Etsy or Scoutmob. ANY WAY THAT YOU CHOOSE TO SAY THANK YOU, WHETHER YOU GIVE A PHYSICAL GIFT, A GIFT CARD, OR JUST A THANK YOU NOTE, IS ALWAYS APPRECIATED. PEOPLE LOVE TO KNOW THAT GOOD WORK THEY HAVE DONE HAS BEEN RECOGNIZED. STAY TUNED FOR PART TWO OF OUR HOLIDAY APPRECIATION GIFT GUIDE NEXT WEEK!